Bellaire unTapped: What's in a name? What does your name mean? Do you draw your identity from what your name is, where you work, or what your ethnicity is? What makes us who we are? Recently, Christopher Paolini released the final book of his Inheritance Cycle. The books chronicle the adventures of a boy who is chosen to be a Dragon Rider. The story essentially serves as a homage to classic fantasy themes. 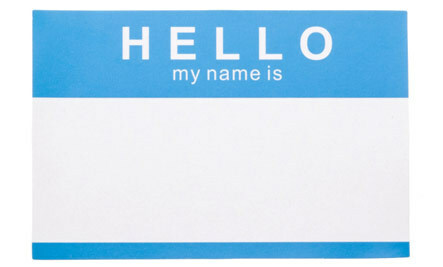 One of the themes that the author explores in his final installment is the oft-used notion of true names. In fantasy literature, the true name of an object or a person gives the wielder of that knowledge absolute power over the object of the name. A true name is not o much a name as it is an accurate description of something's truest nature. In the fantasy genre, finding one's true name can be a lifelong quest. True names are illusive and represent the greatest challenge for a hero to overcome. While the notion of true names may make for compelling reading in adventure stories, but we live far outside the realm of fantasy fiction. So, how do we corral our true meaning, our identities? Is the secret to knowing who we really are stuck deep inside of us somewhere, just waiting to be discovered? Or is the secret to our identity right there in our name? What did our parents expect from us when they gave us the title that we will forever carry with us? Join us at Short's Brewing Company for a conversation about meaning and identity. I love the idea of our names meaning something that we may or may not be living into. That said, what do people think about changing names to better suit your true self?